Gmail may not be the first email service. But, it was surely the first email service that changed the way people used Emails. Started in 2004, it’s currently one of the most-trusted, secure and effective email services around. That said, from the user point of view, we need some cool Gmail tricks to get the best out of it. 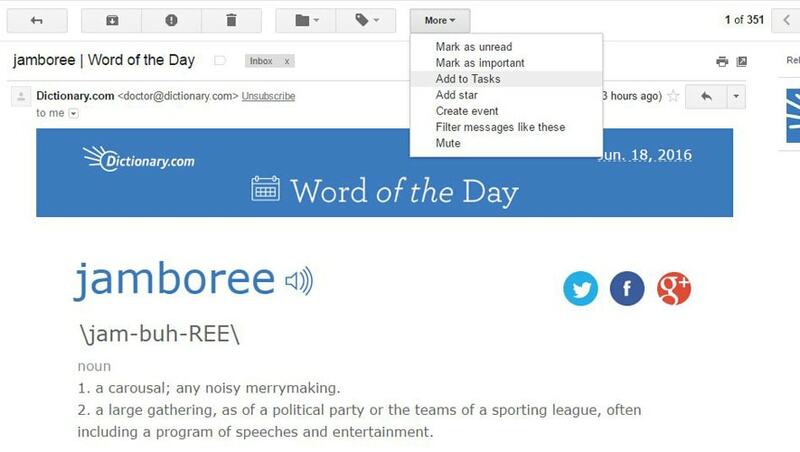 That way, you can get a better, productive and easy-to-use Email inbox. Obviously, there are a big number of tricks and tips you’d find. However, it’s awesome only if you pick and use the best ones for personal or professional needs. We have compiled some really useful Gmail tricks in the article, so that you can start using them right away. Shall we start with the tricks? Keyboard shortcuts are the first trick for mastering a service or product! In case of Gmail, you already know a superb set of keyboard shortcuts. For instance, while composing an email, Ctrl + Enter will send that mail to the recipient. It doesn’t matter whether you have changed the settings, common shortcuts work fine. However, there are shortcuts that you don’t know. Some of the shortcut combinations are as follows. The actual list is long enough. To enable these shortcuts, you need to go to ‘Settings’ and go to the section ‘Keyboard Shortcuts’. By default, they will be turned off. Just tick the other option to enable the full set of keyboard shortcuts. When you want to manage a lot of emails, these shortcuts are useful enough. You can have the full list Here. 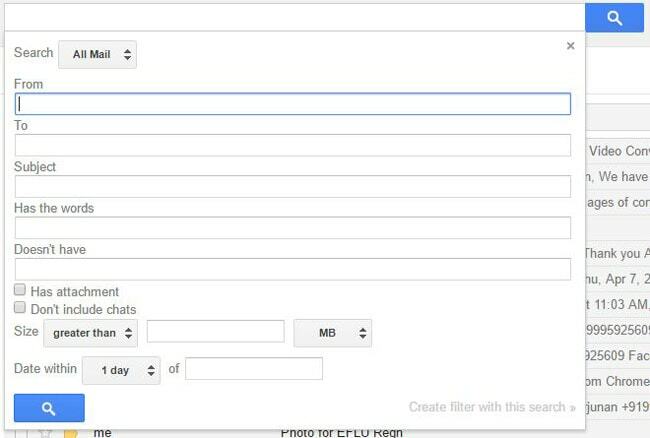 In case if you did not know, Gmail has different Inbox modes to offer. You have the freedom to choose one from the five modes. This Gmail trick is optional, because some people love the normal layout of Gmail inbox. However, if you prefer an effective overhaul, you can go to Settings à Inbox Tab and select one of the following Inbox modes. Priority Inbox — This mode allows you to customize your inbox. There are five places and you can decide the type of emails you want to see there. For instance, you can choose messages from a particular label or mails you have drafted. You can choose one from the four ones or stick onto the default mode. In the four modes, however, Gmail’s in-built categorization doesn’t work. Each mode has different customization option. If used well, this Gmail trick will let you save a lot of time. Have you ever sent an email to wrong person and regretted? Won’t it be great if you can undo your ‘Send’ command in the next second? Well, Gmail has an impressive feature to undo send emails. To enable this feature, you need to go to Settings part. There, in ‘Undo Send’ part, you can enable Undo Send option. You can also set the cancellation period. It means that you will be able to cancel your email-send action in a few seconds after you’ve hit the button. At the maximum, you can set 30 seconds. By the way, it means your email will be sent only after 30 seconds. Want to find the first email you sent? Or, like to find the list of emails you have received before a specific date? Fine, you can use the in-built search feature of Gmail to get that done. Suppose you want to find the emails you have sent before 11th January of 2012. Then, you have to type the following text in search box. This Gmail trick is damn useful when you want to filter your entire inbox to find a single email. Suppose you can’t get an idea about content but know the sender. Or, in another case, you may know the size of the attachment but not its name. In such instances, you can make use of the in-built Gmail Advanced Search Feature. To use this, you’ve to click on the ‘Down Arrow’ at the right part of Gmail search box. Here, you can set different criteria. You can set the from address, To address, subject etc. Or, if you have idea about the content, you can input the words included in the mails. Alternatively, you can choose the size of email or time-span of email conversation. All these criteria can be used to perform a single search and thus to get the email you’re looking for. By the way, if you have used up the free space in Gmail, you can use this feature to delete heavy-sized emails you received. Unfortunately, Gmail does not have an in-built scheduling feature. Therefore, we need to use Boomerang to get such powers of scheduling. It’s actually a paid service for Gmail, but you can have the free version if you want to schedule only 10 emails per month. 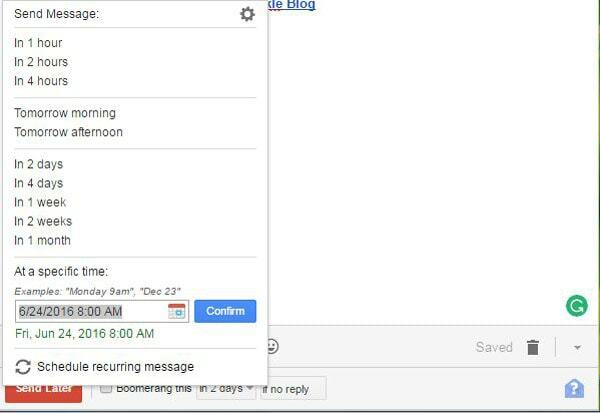 Well, once you have added the feature into your Gmail inbox, you will see an option for sending an email at a pre-scheduled time. Apart from this, however, Boomerang for Gmail has some cool features too. For instance, you can use the service for getting Read Receipts from recipients — that is, you can know when they open your mail. Similarly, you can use the tool to remind you when there’s no reply from a particular recipient. Depending on how much you want to pay — its plan includes packages worth $4.99 to $49.99 —, the features are available. You can have the official Chrome extension from Chrome Web Store. Instantly, on the right-bottom part of your Inbox, you can see a Tasks box. There will be an entire list of tasks you’ve to complete. When you have completed one task, you can check that off — as simple as that. In this way, you will be able to deal with every single email that matters. Of course, you can add emails into Tasks in bulk. By the way, ‘Tasks’ feature of Gmail can be used for other noting-down things as well. For instance, if you have a lot of jobs to do, you can add them to the Tasks dialogue box and manage them wisely. It’s like a task manager in Gmail. Do you receive a lot emails that you love to read? Why spend your valuable time if you can read all the emails when you are offline? This is what you can do using the Gmail Offline plugin for Google Chrome browser. Once you’ve enabled the plug-in in your Chrome browser, your Gmail messages will be synchronized with your device. It all works in background that you won’t know a bit about it. You can get Gmail Offline plugin from Chrome Web Store. SaneBox is yet another cool Gmail trick you should check out. It’s another way of getting a clean inbox from Gmail — without losing what is important. This service can help you save your valuable time by removing the unwanted stuff from email. It also brings the important ones in a convenient form. The notable things you can do SaneBox include 1-click unsubscribing of newsletters and all, Response tracking for the sent emails, Snoozing options etc. The service is available for different email services and supports different devices too. When you are ready to pay, using SaneBox is the best Gmail trick you’d ever come across. Last but not least, this Gmail trick allows you to manage your email subscriptions in a smarter way! Aren’t you fed up with receiving all those newsletters one by one? Well, Unroll.Me helps you find the important mails of the huge list and to get the really good ones in a comprehensive digest email. Using Unroll.Me is a simple thing — you just need to sign up to the free service. In seconds, the service will find active subscriptions in your Email account. The best part is that you will get a list that is alphabetically categorized. There are options to Unsubscribe the email or keep it in Inbox. Or, as we said, you can add the email to Rollup of Unroll.Me. When compared to the manual unsubscribing task in Gmail, this is pretty easy, we should say. For those who spend minutes to delete junk subscription mails, it’s a savior for time-saving. 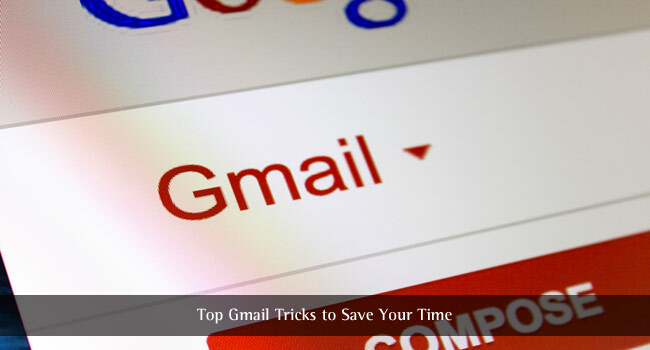 So, you have seen the top 10 useful Gmail tricks you can come across. We have recommended these tricks based on our experience in growth of productivity. Personally speaking, the keyboard shortcuts and ‘Add to Tasks’ features have been quite useful. By the way, if you have some exclusive tricks, let us know via comments. Abhijith N Arjunan is a passionate writer and blogger from Kerala, who finds ultimate joy when writing about trending technology, geek stuff and web development. Yes Zunair, it is very effective. A very nice and well-researched article! There is no doubt that Gmail is now one of the most popular email service providers. I believe every person has Gmail email account. Although, I am using Gmail as my primary email account from last 8 years but I was not aware these awesome tricks Like “Enable Keyboard Shortcuts “, “Undo your Emails” I knew that Outlook has these features but Gmail also has these one also, I was not aware about. 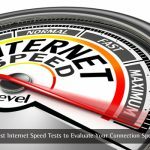 Overall, a very useful, helpful and awesome article! This will surely make us life easy. I am definitely going to try some of these Tricks right away. Did not know about the undo features, it could come in handy! Thanks for sharing knowledge. Nice post bro, this is my first visit to your blog and I found it awesome. Don’t know about scheduling the emails in Gmail until I read this post.By the way, a guide on how to embed boomerang in Gmail would be great of help. Thanks for sharing useful info. Glad you liked it Ghouse. This is such a great post. I often used Gmail but still I didn’t know about these features of Gmail. Really this is very helpful for me. Now I use my Gmail even more better than earlier. Thanks for sharing this great article with us. The tricks you have shared here are really effective & time saving. I mostly use following features like, Undo your Emails, Scheduling Emails with Boomerang & Keyboard Shortcuts for different tasks. Rest of the tricks I haven’t used but now I am going to use it. Thanks for sharing such helpful post. Not exactly a ‘trick’, but also very helpful extension – Deskun (https://deskun.com/), you can create templates and snooze emails, saves a lot of time for me. Thanks for the addition Anatol. Cool tips, thanks for sharing! Also I’d recommend using Deskun for task management and mail tracking. It’s really simple.